One of the many themes we see in the online pokie world is that of wizardry and magic. Bally Technologies is using this as a way to launch its new pokie “Cash Wizard”, which features a decent and simple theme that uses its vibrant color base to attract players. Is the game worth your time? Read on to find out. Bally's Cash Wizard pokie won’t make you gasp at its wonderful presentation. Truth be told, I find it looks good, but a little dated. However, as with most things, looks can be deceiving and given this is among Bally's highest rated online pokies, the game is obviously a hit with players in spite of it's graphical shortcomings. 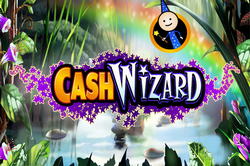 As the name suggests, Cash Wizard uses a magical theme and this is represented by the symbols used throughout the game. Apart from your standard playing card symbols, you will also come across potions, red, green and purple gems, invisible ink which is the scatter symbol and of course a free spins symbol. 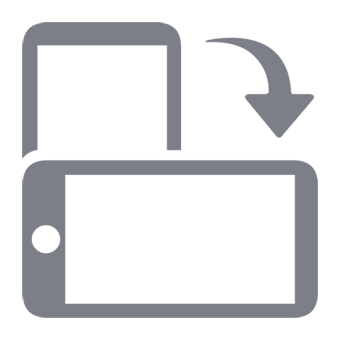 If you're lucky enough to trigger the bonus feature you are likely to come across the cursed potion, the games final symbol. The game has 30 paylines, 4 bonus features and a free spins game. You will only come across standard wilds throughout your play; stacked wilds, shifting wilds and sticky wilds can be found on some Bally pokies, but not this one. It is about average when it comes to volatility and the RTP is approximately 95%. Bally don't publish their RTP data anywhere online, so that number is based on my own very rough calculations. While not the most visually appealing of the Bally games, Cash Wizard is not without it's charms. It's selection of bonus features and regular payouts give the game a bit more longevity than some other of the companies pokies. With free spins a-plenty, this wizard may just catch you in it's spell.